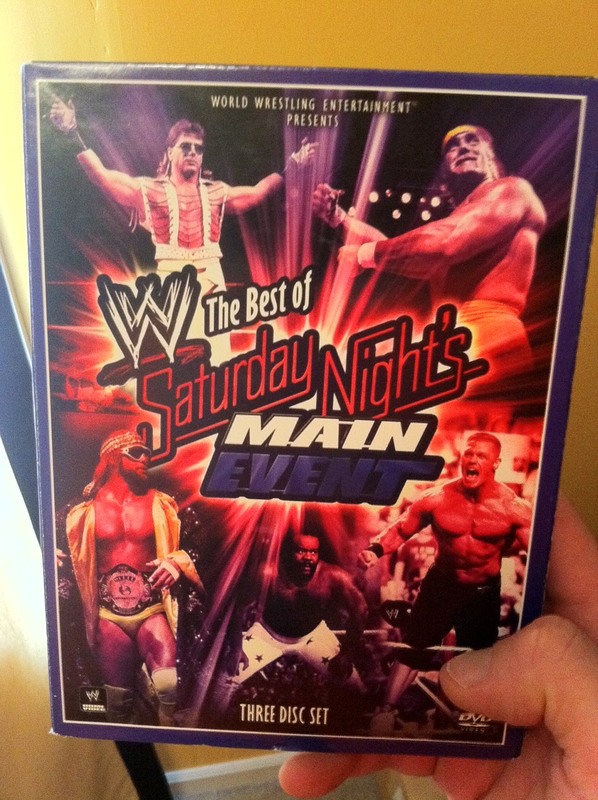 One of my favorite memories of wrestling from my childhood is Saturday Night's Main Event. I was 12 when the very first one hit the airwaves in May 1985. I loved the way each show started off with the quick promos featuring the guys who would be going at it that night. Then "You're My Obsession" would start to play and lead us to Vince McMahon and Jessie Ventura standing by. I think it's appropriate they picked "You're My Obsession" because as a skinny, ugly duckling wrestling was my obsession as the girls didn't want to have much to do with me. I can still remember what I think was the opening match, George "the Animal" Steele, Nikolai Volkoff, and the Iron Sheik vs. Ricky "the Dragon" Steamboat, Barry Windham, and Mike Rotunda. That was the night the Animal turned face and joined forces with Capt. Lou Albano. 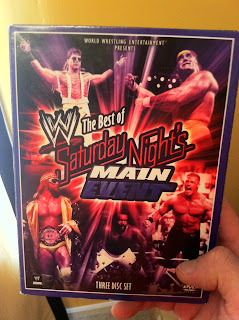 That night also featured Hulk Hogan and "Cowboy" Bob Orton going one on one. "Rowdy" Roddy Piper and Mr. T and eventually Paul Orndorff all got involved in the match. As you might imagine from the picture to the left, I've been strolling down memory lane with the Best of DVD. It's been fun watching the old matches and segments and also hearing from the superstars talk about their memories today. I'm not sure if it was because I was a kid or because wrestling wasn't so overexposed, but those were some great times back then. We were seeing matches on TV that we normally didn't. It was usually SD Jones or Steve Lombardi or Jose Luis Riveria getting beat upon by King Kong Bundy, Ricky Steamboat, or Jake "the Snake" Roberts each Sunday morning on SuperStars. I've talked about it before, I think it would be nice to go back to that formula, at least for the pay per views, but with the almighty dollar being as important as it is, I don't see that happening. There's no more suspense or build up. Look at the Hulk-Andre match at Wrestlemania 3. The only time they touched each other prior to the match (in a physical way) was about 30 seconds in that SNME battle royal prior to Mania. There were a few punches thrown, a shoulder tackle and then Andre headbutted Hogan and tossed him over the top rope. That was it. Today, we get confrontations and tag team matches leading up to the big event. By the time the PPV rolls around, we've seen some version of the match happen at least once before they lock up and we pay for it. I guess that's just a sign of the times. Maybe I'm just an old, cranky mark who misses the good ol' days. Don't get me wrong, I'll never stop watching wrestling, but since this is My 1-2-3 Cents, I figure I have to complain every once in a while. Thanks, and check out My 1-2-3 Cents on YouTube too!